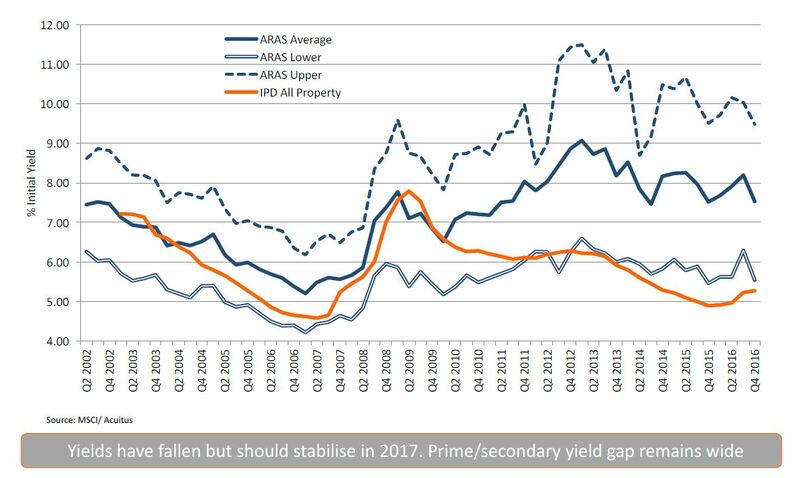 What we saw in 2016 following Brexit was an increasing divergence in pricing between secure, blue-chip properties with long leases and riskier ones in secondary locations, as investors became risk-averse. Yields of ca. 5%, which were previously reserved for London investments, are now being paid for quality properties nationwide. The trend continued in the first national commercial property auction round of 2017, but finally this pricing appears to have stabilised. The auction houses’ 90%+ sales rates suggest sellers’ and buyers’ pricing expectations are in line – a sign of price stability. Low-interest rates and buy-to-let tax changes continue to drive demand for commercial property, but now also competitive finance is increasingly being made available by ‘challenger banks’. And with rents can now mostly re-based from their 2007 highs, properties are easier to compare. Some uncertainty remains around the impact of business rates changes, but at least this should help out many High Streets in the regions. 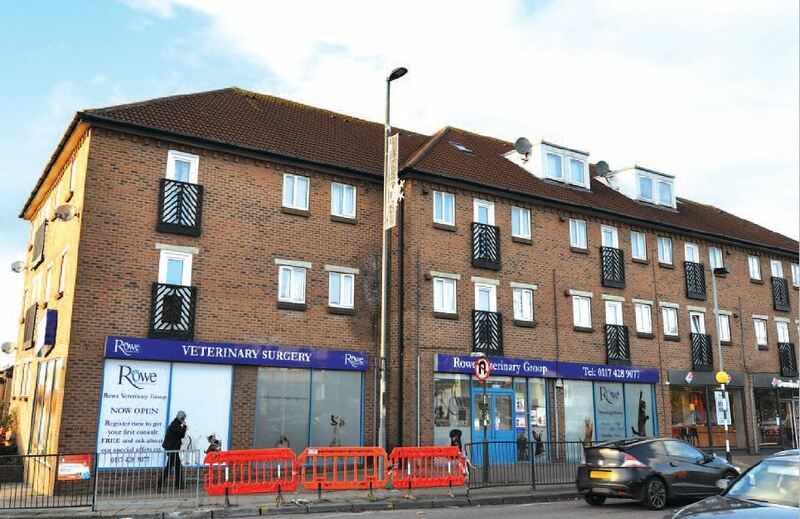 Our comment: We advised our client to sell this small, blue-chip investment via Auction given it ticked many of the boxes of your typical private investor i.e. small lot size, 10 year lease, strong covenant, whole building & parking. 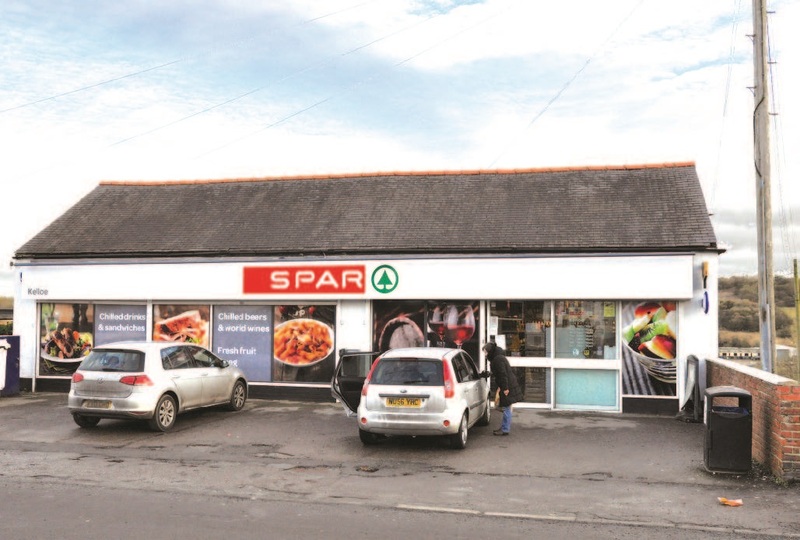 Whilst the location is fairly rural, it is the only convenience store in the village. The eventual buyer was a local investor who saw off 3 other local bidders in a 4-way telephone bidding war! Our comment: A well-located property let for 15 years to a strong covenant is a rare find these days, and the medical usage makes it even more attractive. We initially sounded out a few of our private buyers about this in Autumn 2016 and put it under offer at a lower price to a SIPP investor. Regrettably, their SIPP was unable to transact in the timeframe demanded by the seller (not an uncommon occurrence) and we booked it into auction. The eventual buyer was the original SIPP investor – he liked the property, had done his homework and did not want to let it go. 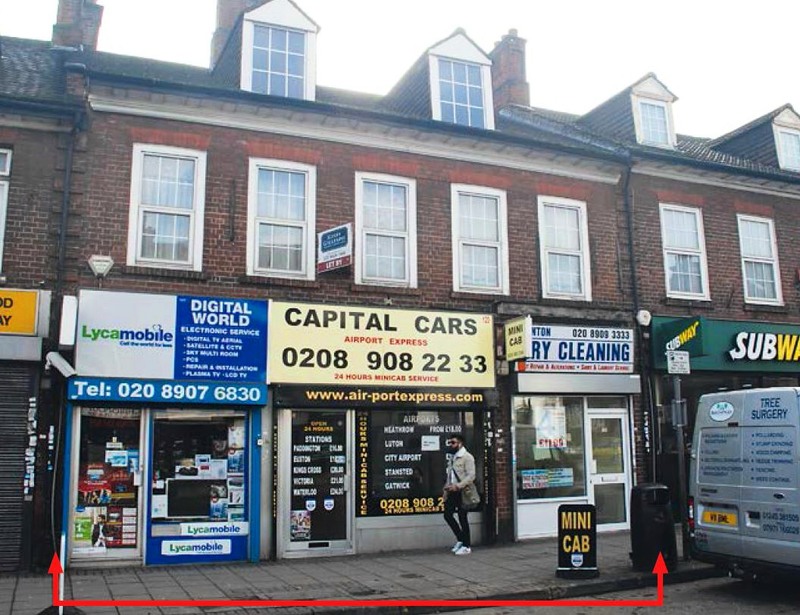 Tenancy: Commercial units let to independent tenants (Dry Cleaners, Minicab, Computer Shop, Music Studio) on FR&I leases & flat let on an AST. Total rent: £33,720 p.a. Our comment: There is potential to convert the disused 2nd floor into another flat in the medium term, and doing so would increase the yield (and value) significantly. We advised the seller to place this in the Barnett Ross auction expecting it to greatly appeal to their property-savvy local buyers, and there was huge interest. Whilst demand for residential buy-to-let property has waned following recent tax changes, many investors are looking at shops with flats where those tax rules do not apply. If you are looking for a commercial property investment in 2017 by auction or privately we can assist. We have a number of off-market investments available now, and will be actively buying and selling in the upcoming March auctions. To discuss further and to be added to our active investor mailing list please contact Nilesh stating your requirement.